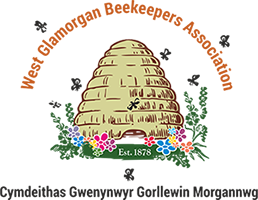 The West Glamorgan Beekeepers Association has put together a list of items that you will need when you take up this hobby. As you can see we have divided the list into three categories. The first list you cannot do with out when opening hives. The second one you will need at the end of your first year and the third you can acquire as and when you need them. The Association has a small extractor you can hire. This is advisable for the first few years as they are very expensive pieces of equipment. Before you rush out to buy equipment please seek our advice. We will advise you of the most cost effective way of getting started as some of our members make hives and others may have ‘nucs’ of bees that they want to sell. Please use the contact page to get in touch.